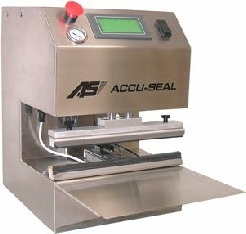 Validatable Medical Sealer w/ Quick Release Vacuum System for easy removal of the vacuum system and seal bar for simplified cleaning, sterilization and maintenance. 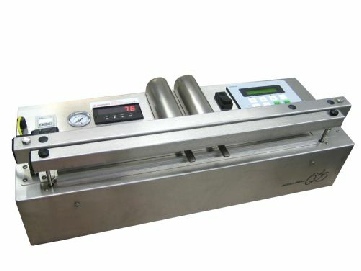 The new vacuum and seal bar design accommodates a pouch with as little as 1” header space. The New linear element tensioner has no exposed electrical connections, won’t allow binding and assures element tension under all pressure settings.